Did immune system antibody diversity evolve? Neo-Darwinism claims that mutations coupled with natural selection have evolved various immune systems existing in life today from simple to the very complex system in humans. However, the various adaptive immune systems in the animal kingdom are all equally complex, yet with major discontinuities between them. It is improbable that one evolved into another. All multicellular organisms have an elaborate innate immune system, and many animals have one of the two known arms of the adaptive system that produces enormous antibody diversity to destroy specific pathogens. Although very different, all known immune systems are highly effective in dealing with pathogens. No evidence exists for the evolution of the immune system, which appears to be irreducibly complex. Figure 1. Basic structure of an antibody. 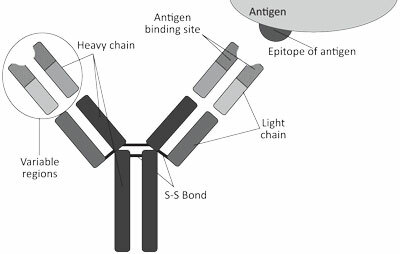 Each antibody binds to a specific antigen in a lock and key fashion. The immune system is one of the most well characterized, yet complex biochemical systems in the animal body, but researchers still have much to learn about its design and how it functions.1,2 Two basic types of immune systems exist, innate and adaptive. The adaptive immune system consists of two arms. Cell-mediated immunity against intracellular pathogens is carried out by white blood cells called T lymphocytes while humoral immunity against extracellular pathogens and toxins is mediated by antibody-producing B lymphocytes. The humoral adaptive immune system is able to produce enormous antibody diversity and ‘adapt’ to fight specific pathogens. Humoral adaptive immunity, found only in more advanced life forms, is the topic of this paper. Each of these gene families form a composite gene comprised of a unique combination of randomly selected V, (D) and J gene segments. Thus, VL and JL gene segments can join in any combination in the light chain, and VH, DH, JH gene segments can join in any combination in the heavy chain. Variable region recombination occurs primarily in three steps: 1) ‘looping out’, 2) excision and 3) ligation and is mediated by recombinases, exonucleases and DNA ligases or nucleotidyl transferases. 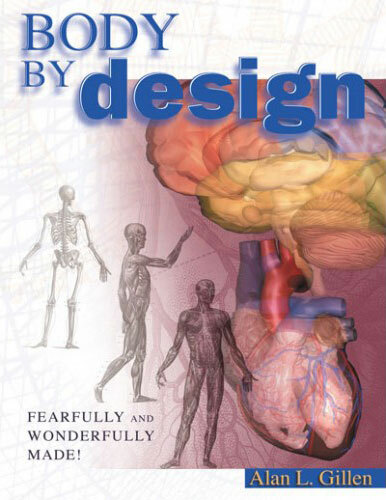 The immune mechanisms for generating antibody diversity do not provide evidence of Darwinian evolution, but rather support the concept of irreducible complexity and thus intelligent design. 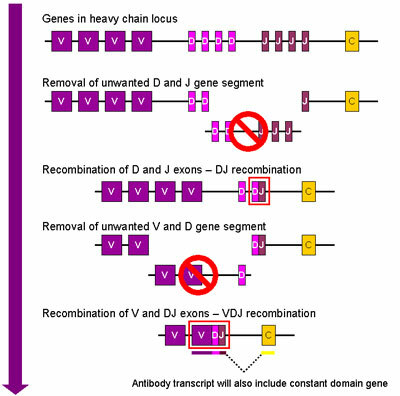 V(D)J recombination with its imprecise joining, junctional flexibility and the random combinations of heavy and light chain variable regions, as well as somatic hypermutation after antigen encounter, can give rise to over 1011 different antibody specificities in humans.6 The V(D)J recombination system is remarkably similar in almost all vertebrates. In addition, somatic hypermutation occurs throughout the V region of the antibody, but is not completely random. Mutational ‘hotspots’ exist in the hypervariable regions. Mutations that occur in the hypervariable regions (or CDRs) of the antibody affect binding to its antigen, and only B cells with improved ‘fit’ will be selected for clonal expansion. Antibodies that have lost affinity to the antigen are balanced by those that have increased affinity. As a result, only cells producing antibodies that have a higher affinity for the antigen are selected when new antigens are introduced, because those B cells that respond less well are unlikely to be cloned and those that do respond will be more likely to be cloned.7 One antigen-specific B cell clone can produce a whole series of different subclones, most of which are eliminated, so that the majority of remaining clones will have an increased affinity for an antigen. Figure 2. 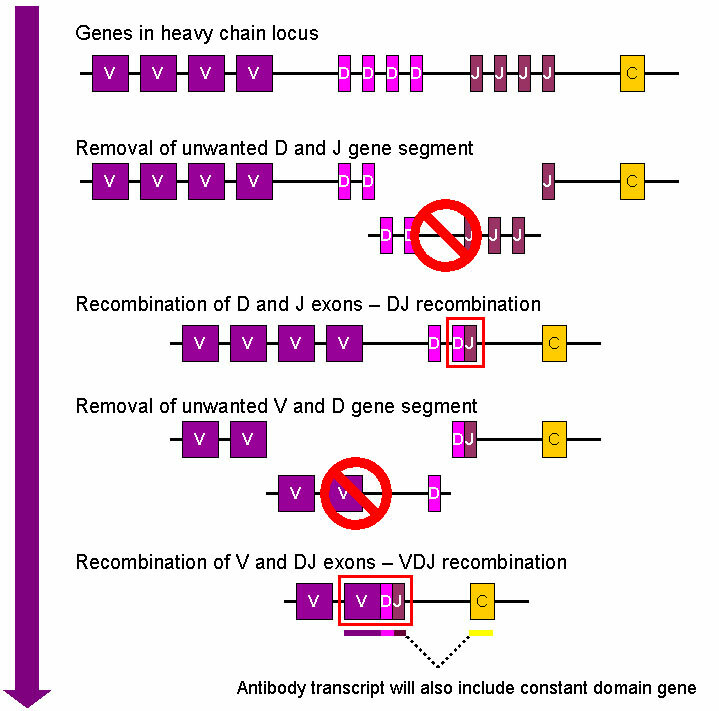 Representation of V(D)J recombination process of immunoglobulin heavy chains. Both heavy and light chains of human antibody molecules (and B cell receptors) contain both variable (V) and constant (C) regions. Three gene families makeup the variable region: Variable (V) genes, Diversity (D) genes and functional Joining (J) genes. Many similarities exist in the biochemistry of the components of these systems that allow them to do very similar things—they both shuffle DNA segments around. So it is not surprising that they exhibit similar biochemistry. We would expect systems that shuffle DNA around would have many similarities regardless of what DNA segments are moved around. Enzymes that have similar functions usually have similar shapes, and shape is determined by amino acid sequence. No doubt as other similar systems are studied, more similarities and differences will be found. All these examples support the conclusion that the failure of a single vital part of the system leads to catastrophic failure of the entire system, which is a primary demonstration of irreducible complexity. The assumption that the viral system evolved first, and therefore the V(D)J immune system evolved from the retroviral integrase system, is also problematic because viruses are believed to have evolved from cells! Furthermore, similarity of structure alone is not evidence that one evolved from the other, or that they have common ancestors. Many structurally similar proteins have two or more very different unrelated functions that could never have evolved one from the other. 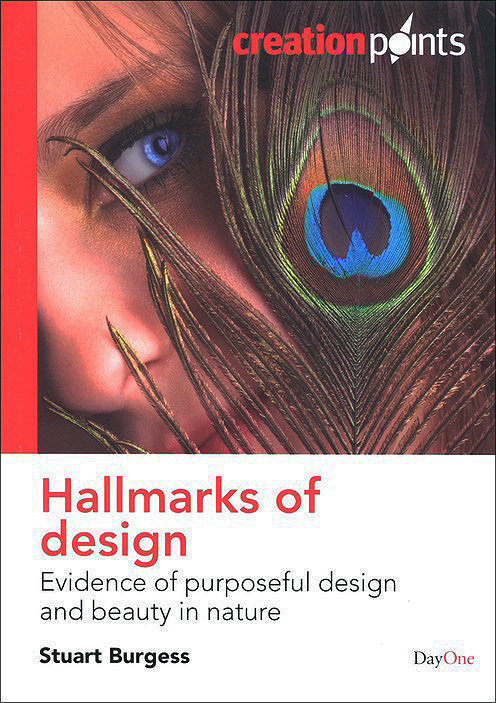 Therefore, they are postulated to have evolved by convergent evolution, a concept used to attempt to ‘explain’ their close similarity within a Darwinian framework. Evidence that adaptive immunity is an irreducibly complex system is fairly straightforward in humans. This is demonstrated by immune disorders, such as AIDS (loss of function in Helper T-cells), X-linked agammaglobulinemia (XLA; a deficiency in the enzymes BRIGHT and BTK, which leads to an inability to produce the level of protective immunoglobulins required—affected people develop repeated infections), and auto-immune diseases (a failure to differentiate self from non-self). All these examples support the conclusion that the failure of a single vital part of the system leads to catastrophic failure of the entire system, which is a primary demonstration of irreducible complexity. Recent genetic research has found that a ‘universe of novel and dynamic immune mechanisms exists among the invertebrates.’29 Jawless fish, such as lampreys and hag fish, can generate an adaptive immune response comparable to antibodies in terms of function. Although jawless fish are considered primitive and ‘ancient’, their ‘very different’ system also uses a very complex mechanism to achieve receptor diversity. Jawless fish use completely unrelated genes known as variable lymphocyte receptors (VLRs) to generate an immune response.31 The jawless fish system uses VLRs that consist of leucine-rich repeat (LRR) modules which produce somatic diversification by a multistep assembly of LRR modules ‘randomly selected from a large bank of flanking cassettes’.33 The researchers estimate that 1014 unique receptors are possible in this system. The large discontinuity between the various means of generating immune system diversity in the animal kingdom makes it highly unlikely that one system could have evolved into another. As many as 5% of the sea urchin genes are involved in immune functions. Many of these genes are very similar to their corresponding vertebrate genes. These toll-like receptor genes may even achieve gene diversification in a way similar to the adaptive system by recombination, deletion, gene conversion and meiotic shuffling of alleles followed by unequal crossovers.36 This research has reduced the ‘boundaries between germline-encoded innate receptors and the somatically variable adaptive immune receptors of vertebrates’ because its ‘simple’ innate immune system, we now realize, is far more complex than previously thought.36 The sea urchin even has interleukin and tumour necrosis factor genes previously known only in chordates. The voluminous research on the evolution of the adaptive immune system describes in enormous detail both the similarities and differences between the immune systems of a wide variety of animals, but does not provide evidence for the evolution of these irreducibility complex systems. 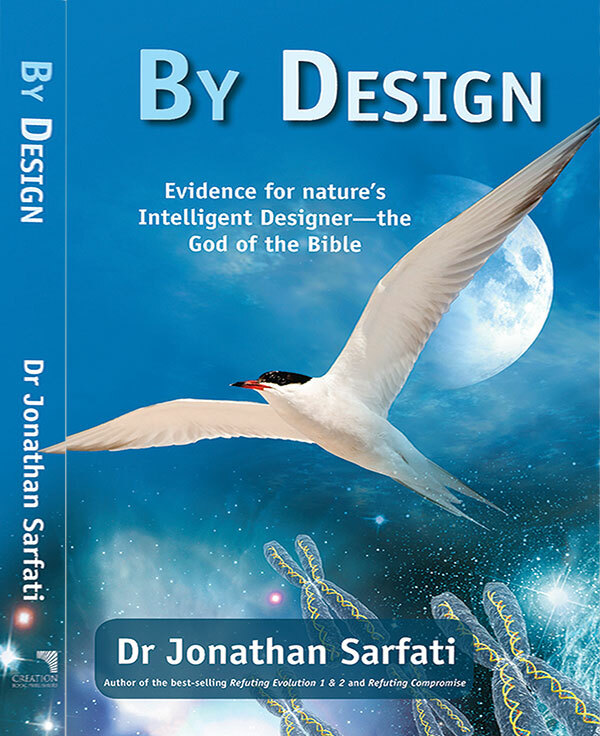 The complex, designed processes used to produce antibody diversity and then to fine tune the adaptive immune response are not evidence of Darwinian evolution, but rather of intelligent design. Recent work has also shown that innate immune systems formerly thought to be very primitive are far more complex than once believed, blurring ‘traditional distinctions between adaptive and innate immunity.’38 Various phyla use ‘a remarkably extensive variety of solutions to meet fundamentally similar requirements for host protection.’37 The large discontinuity between the various means of generating immune system diversity in the animal kingdom makes it highly unlikely that one system could have evolved into another. We wish to thank Caroline Crocker, David DeWitt, Eric Blievenicht, Hester Lewis and Jody Allen RN. Feedback: Why did God create IgE? An information-gaining mutation in HIV? Janeway, C.A., Travers, P., Walport, M. and Schlomchik, M.J., Immunobiology 5: The Immune System in Health and Disease, Garland, New York, p. 598, 2001. Return to text. Litman, G.W., Cannon, J.P. and Dishaw, L.J., Reconstructing immune phylogeny: new perspectives, Nature Reviews: Immunology 5:866–879, 2005. Return to text. Berg, J.M., Tymoczko, J.L. and Stryer, L., Biochemistry, 6th ed., W.H. Freeman, New York. p. 946, 2007. Return to text. Howard, W.A., Bible, J.M., Finlay-Dijsselbloem, E., Openshaw, S. and Dunn-Walters, D.K., Immunoglobulin light-chain genes in the Rhesus macaque I: kappa light-chain germline sequences for subgroups IGKV1, IGKV and IGKV3, Immunogenetics 57:210–218, 2005. Return to text. 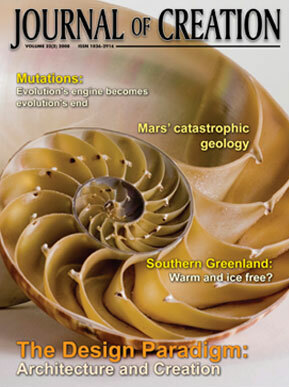 Leder, P., The genetics of antibody diversity, Scientific American 246(5):102–131. 1982. Return to text. Janeway, C.A., Travers, P., Walport, M. and Schlomchik, M.J., Immunobiology: The Immune System in Health and Disease, 6th ed., Garland Science, New York, p. 136, 2005. Return to text. French, D.L., Laskov, R. and Scharff, M.D., The role of somatic hypermutation in the generation of antibody diversity, Science 244(4909):1152–1157, 1989. Return to text. Kapitonov, V.V., RAG1 Core and V(D)J recombination signal sequences were derived from Transib transposons, PLoS Biology 3(6):998–1011, 2005; p. 998. Return to text. Clatworthy, A.E., Valencia, M.A., Haber, J.E. and Oettinger, M.A., V(D)J recombination and RAG-mediated transposition in Yeast, Molecular Cell 12:489–499, 2003; p. 489. Return to text. Zhou, L., Mitra, R., Atkinson, P.W., Hickman, A.B., Dyda, F. and Craig, N.L., Transposition of hAT elements links transposable elements and V(D)J recombination, Nature 432:995–1000, 2004. Return to text. Bergman, J., The molecular biology of genetic transposition, CRSQ 38(3):139–150, December, 2001. Return to text. Janeway et al., ref. 6, p. 673. Return to text. Litman et al., ref. 2, p. 869. Return to text. Kapitonov, V.V. and Jurka, J., Harbinger transposons and an ancient HARBI1 gene derived from a transposase, DNA and Cell Biology 23(5):311–324, 2004. Return to text. Kapitonov, V.V. and Jurka, J., RAG1 core and V(D)J recombination signal sequences were derived from Transib transposons, PLoS Biology 3(6):998–1011, 2005. Return to text. Van Gent, D.C., Mizuuchi, K. and Gellert, M., Similarities between initiation of V(D)J recombination and retroviral integration, Science 271:1592–1594, 1996; p. 1594. Return to text. Zhou et al., ref. 10, p. 995. Return to text. Kapitonov and Jurka, ref. 15, p. 988. Return to text. Kapitonov, V.V., Uncovering the ancient source of immune system variety, PLoS Biology 3(6):931–932, 2005. Return to text. Morange, M., The Misunderstood Gene, Translated by Matthew Cobb, Harvard University Press, Cambridge, MA. p. 154, 2001. Return to text. Mills, G.C., The origin of antibody diversity, Perspectives on Science and Christian Faith 51(4):254–256, 1999. Return to text. Behe, M., Darwin’s Black Box: The Biochemical Challenge to Evolution, Free Press, New York, 1996. Return to text. Mills, ref. 22, p. 256. Return to text. Janeway et al, ref. 1, p. 602. Return to text. Du Pasquier, L. and Litman, G.W. (Eds. ), Origin and Evolution of the Vertebrate Immune System, Springer, New York, 2000. Return to text. Pancer, Z. and Cooper, M.D., The evolution of adaptive immunity, Annual Review of Immunology 24:497–518, 2006; p. 498. Return to text. Mestel, R., Sharks mark a great divide in the evolution of immunity, Natural History 105(9):40–47, 1996; pp. 40–41. Return to text. Rast, J.P., Smith, L.C., Loza-Coll, M., Hibino, T. and Litman, G.W., Genomic insights into the immune system of the sea urchin, Science 314:952–956, 2006; p. 953. Return to text. Gaudieri, S., Leelayuwat, C., Tay, G.K., Townsend, D.C. and Dawkins, R.L., The Major Histocompatibility Complex (MHC) contains conserved polymorphic genomic sequences that are shuffled by recombination to form ethnic-specific haplotypes, Journal of Molecular Evolution 45(1):17–23, 1997. Return to text. Pancer, Z., Saha, N.R., Kasamatsu, J., Suzuki, T., Amemiya, C.T., Kasahara, M. and Cooper, M.D., Variable lymphocyte receptors in hagfish, PNAS 102(26):9224–9229, 2005; p. 9224. Return to text. Pancer and Cooper, ref. 27, p. 497. Return to text. Alder, M.N., Rogozin, I.B., Iyer, L.M., Glazko, G.V., Cooper, M.D. and Pancer, Z., Diversity and function of adaptive immune receptors in a jawless vertebrate, Science 310(5756):1970–1973, 2005; p. 1970. Return to text. Pancer et al., ref. 31, p. 9228. Return to text. Pennisi, E., Sea urchin genome confirms kinship to humans and other vertebrates, Science 314:908–909, 2006. Return to text. Rast et al., ref. 29, p. 954. Return to text. Press release, University of Florida, October 3, 2006. Return to text. Litman et al., ref. 2, p. 866. Return to text.